LED Flashing Directional Arrow is suitable for temporary traffic control for road construction, traffic emergency handling and road service. It serves to ease traffic situation as it alarms drivers approaching construction site or road service ahead by directing the flow of the traffic. 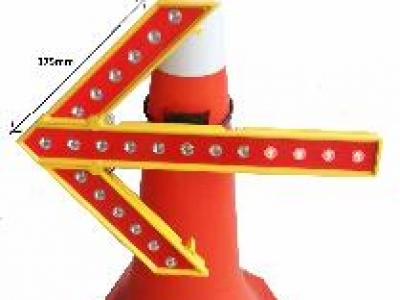 LED Flashing Directional Arrow market and sale by Flexijoint Industrial Marketing & Services, Kuala Lumpur, Malaysia. For further enquiry, please contact us at T: +6 03 79541136 M: +6 016 3111313 F: +6 03 79808259 E: flexijoint.ims@gmail.com.